A Dutch motoring company has opened a new era in the world of transportation when producing the world's first flying motorcycle and it will be sold in the market in 2016. Motorcycle named Pal-V One Helicycle or The Helicycle has been produced for many years by the Pal-V and has the ability to be used on land or in the air. Even the use of dual function motorcycle is valid in law and the owner must obtain a special license Light-Sport Aircraft Certification. 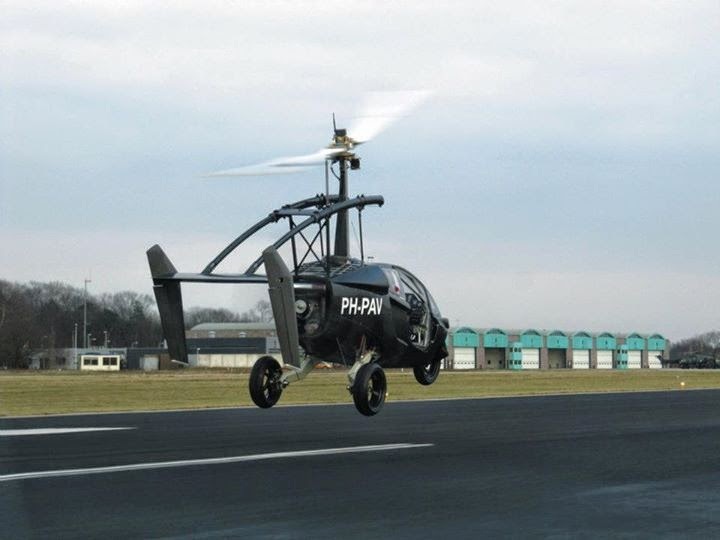 According to the firm of Pal-V, The Helicycle can reach speeds up to 180 kilometres per hour and can reach speeds of 0 to 96 kilometres per hour in below eight seconds when moving on land. Obviously, the vehicle has two seats and the design looks like a helicopter. It needs a runway as far as 164 metres to taking off. The Helicycle has 230 horsepower powered petrol engine and the driver can fly as far as 354 kilometres at an altitude of 1,219 metres or it can drive as far as 1,207 kilometres inland. Unlike flying cars, The Helicycle should take 10 minutes to switch on the fan automatically before flying. The Helicycle will be sold in the market at a price of 230,000 pounds per unit.